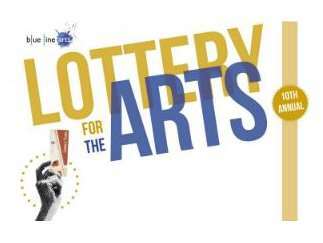 The Lottery for the Arts is a fundraising event that provides art collectors with an opportunity to acquire original works of fine art by professional and emerging artists, all while raising money for art education by supporting a non-profit organization and its community of artists. Join us for cocktail hour from 4-5 pm at the gallery and pick out your favorite works of art while enjoying great food and wine. At 5pm the live auction begins. Want to get the first pick of the artwork on display? The first 6 chances to pick will be auctioned off to the highest bidder at the start of the event, along with some art experiences and other prizes! After the live auction, Lottery Tickets are drawn from a spinner. When your name is called, you choose a piece of art from the gallery walls. At the end of the evening, each ticket holder goes home with a work of art valued at $175 or more (usually a lot more!) Ready to select your Top Ten Favorite Picks? You can view the work on display at the gallery starting March 2nd, and get a chance to meet the artists during the Artist Reception, March 16th.